Preheat oven to 350F. In separate bowls, mix the wet and dry ingredients, withholding 1/3 cup of the chocolate chips for melting to drizzle on at the end. Add wet ingredients to dry, stirring until batter is evenly mixed - it will be thick and shapeable. Cover a baking sheet with parchment, then mold dough by hand into a log, and pat to flatten to about and inch high. Bake for 20-25 minutes (until center is firm), the remove from oven and cool for 10 minutes. Reduce oven to 300F. Cut into 1/2 inch thick slices across the short end of the loaf, then lay pieces on their sides and bake for another 15-20 minutes, until crisp but not browned. Remove and cool on a wire rack. 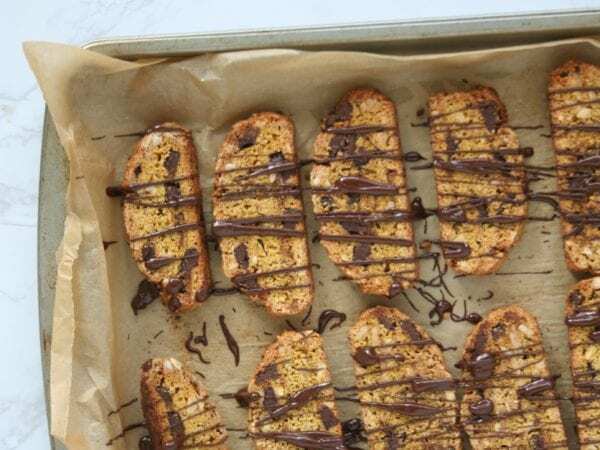 While they're cooling, melt the rest of the chocolate chips in a bowl (you can use a double boiler setup, or just microwave at half power for 1-2 minutes, stirring a few times in the middle). 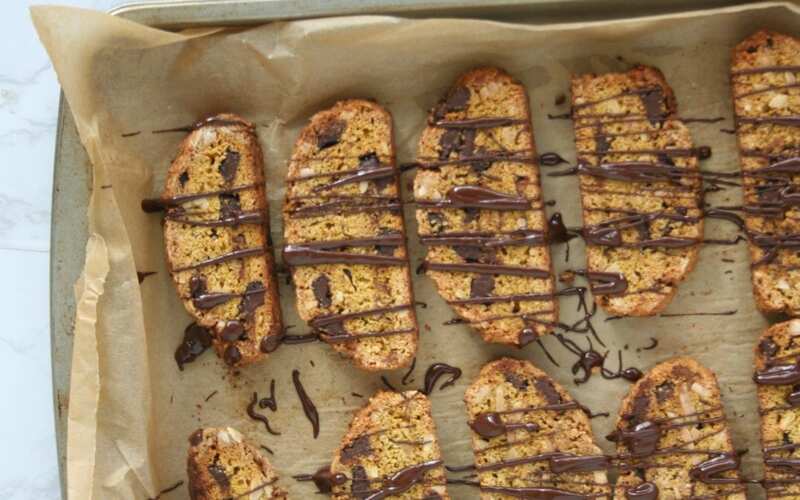 When biscotti are cool, use a spoon to drizzle the chocolate in stripes laterally across the cookies. 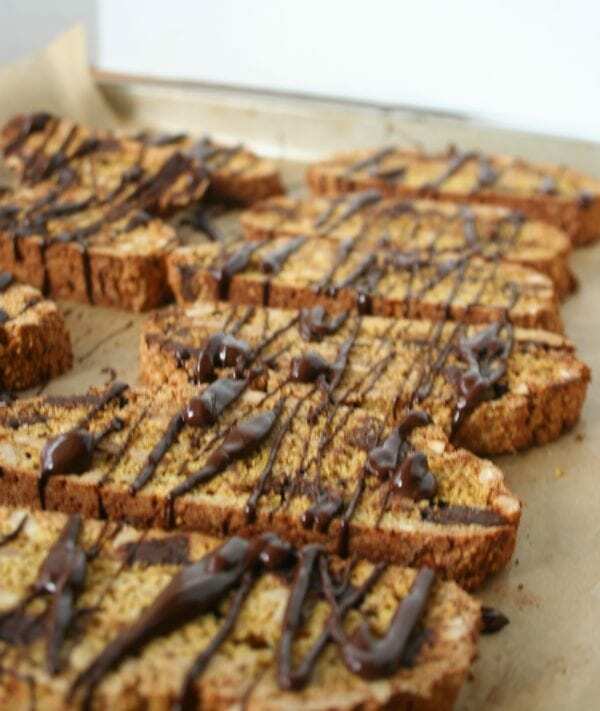 Allow chocolate to set (a few minutes in the fridge will do this quickly!) and then store in an airtight container. Enjoy for up to a week.